As you can imagine, there are some hurdles when communicating the ILC to the community. Many have not heard of particle accelerators, it’s difficult to picture what the project will look like and the sheer scale, people question the impact of the ILC and what the science will be used for. Efforts to raise awareness on a local level include lectures, events, meetings, books, newsletters and added signage across towns but of course, not all are aimed at children. Despite that, the local youth are some of the most excited for the project – the ILC has given the children an opportunity to dream of different future career paths. How is this so? The ILC promotion divisions and enthusiasts have found ways to include the youth in communicating big science; here are just some of the examples! 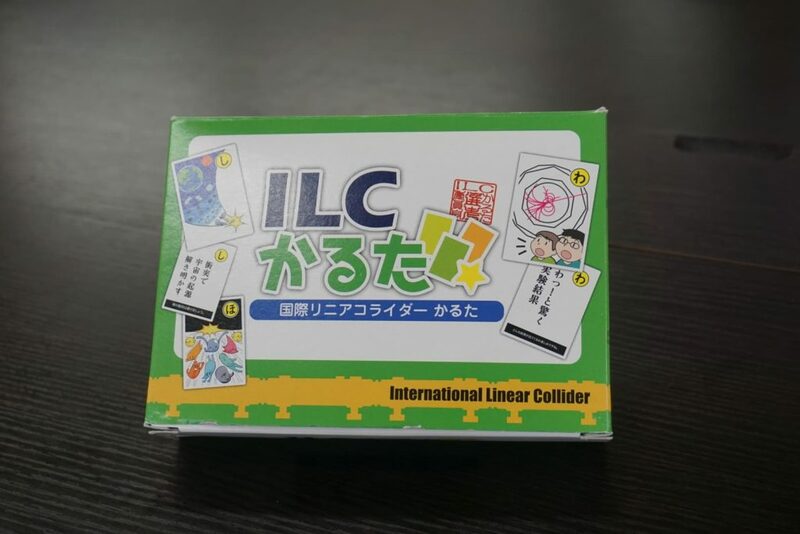 KEK created an ILC themed spin-off of the traditional Japanese card game ‘karuta’ which has been a major hit among children of ages 5 and up in various schools across Iwate and Miyagi prefectures. Towns have even held competitions, and some of the children have even memorized all 44 cards! Ichinoseki City and Oshi City have distributed “karuta” cards to all elementary school classes, children’s clubs and children’s centers. 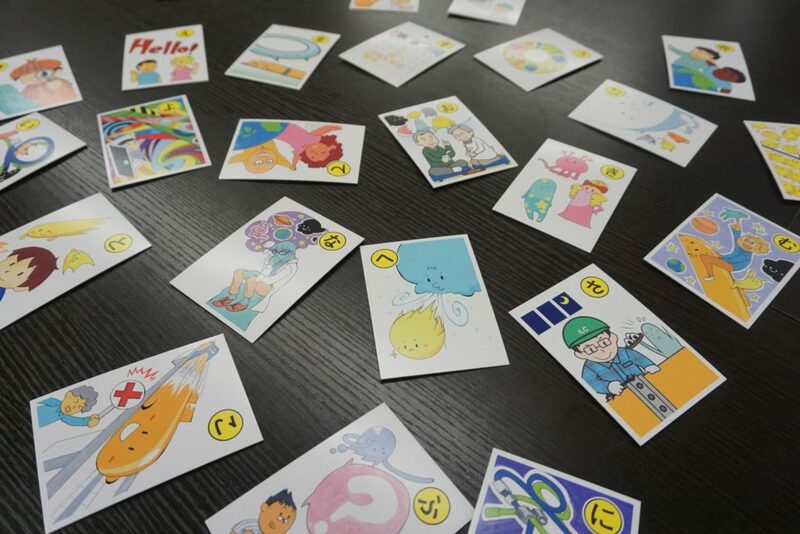 Here is how to play ILC Karuta (you can play along too!). Getting started: there are two types of cards: reading cards and grabbing cards. Players: 1 reader and at least 2 players. ‘The reader’ will read a reading card. The fastest player to grab the card that relates to what the reader has read, gets the card! There is also a hint, the first sound that the player hears is the hiragana written in the top corner of the correct card. Repeat steps 2 and 3 until all the cards are gone. Whoever collects the most cards wins! Cards on the table for players to grab! This is an A5 sized comic with eight installments that explains the ILC project in simple terms. The main character, Dr. Higgs, answers fundamental questions about the ILC such as ‘What is the ILC?’, ‘What will the ILC research?’, ‘What is an accelerator’ and also has a few dedicated installments on how Tohoku will look like once the project is underway. Teach me!! Dr. Higgs is aimed at children from grade 5 and up and is free to take at various distribution points around Ichinoseki City. The ILC poster contests have captured the imaginations of local elementary students. They use art as a tool to communicate what they believe the region with an ILC would look like. By participating, students can think about the future of their hometowns and deepen their understanding of the ILC. Students appear to have a broader sense of the ILC in the third year poster contest compared to the first year as the artwork depicted various themes . These include special school visits from esteemed physics professors who lecture and do experiments with junior high school students. 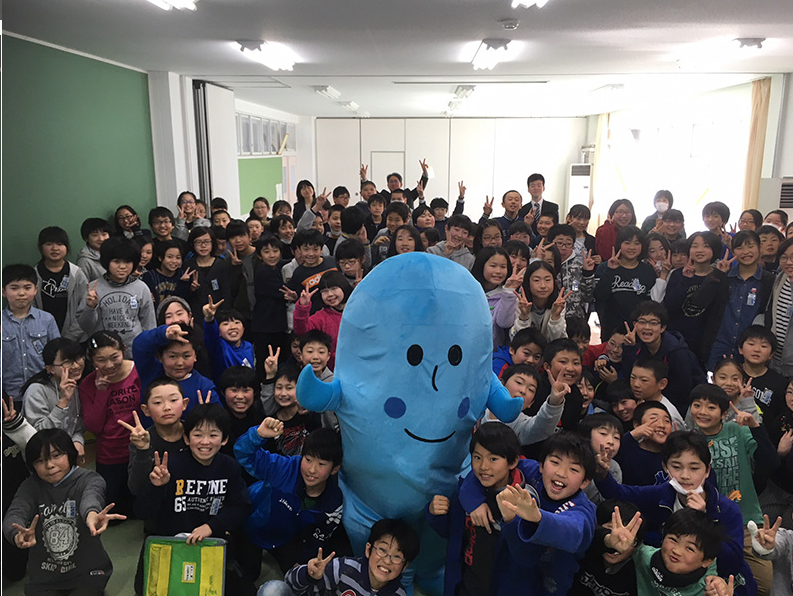 ‘Science day’ events that are aimed at elementary school students and showcase science through picture stories, ILC karuta and ILC ring throwing. For the 2018 fiscal year, the Iwate Prefectural Government has designated eight high schools around Iwate Prefecture as “ILC Promotion Model Schools*.” On top of receiving special lectures, they work on international studies and develop ILC-related course work. With this, students are given the opportunity to think up ways of getting involved with the ILC in different fields. *ILC Promotion Model Schools – In order to train workers who can get involved with the ILC in a wide variety of fields, the Iwate Prefectural Government has designated certain schools to actively educate their students to become leaders at the ILC, through ILC course work and research. This manga (which can be accessed via Twitter) centers around five handsome male characters: Higgs Bozon (with a z), Gluon Adler, Up Quark, Down Quark and Elec Smith who attend the ‘ILC Academy’. This lighthearted manga is filled with easy to understand analogies and information with mention of the ILC and KEK. 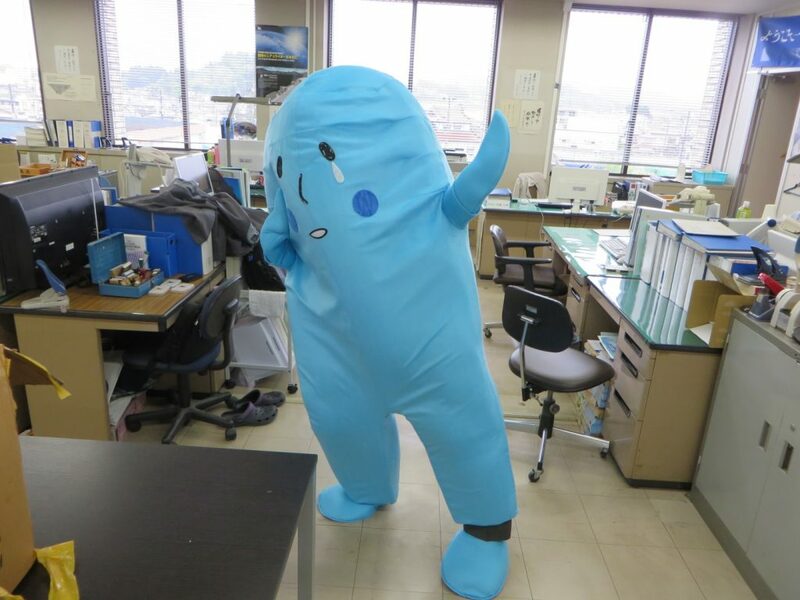 You can see cut outs of the Particle Boys characters and take pictures of them around Ichinoseki City. Popular character Hello Kitty, the science version. 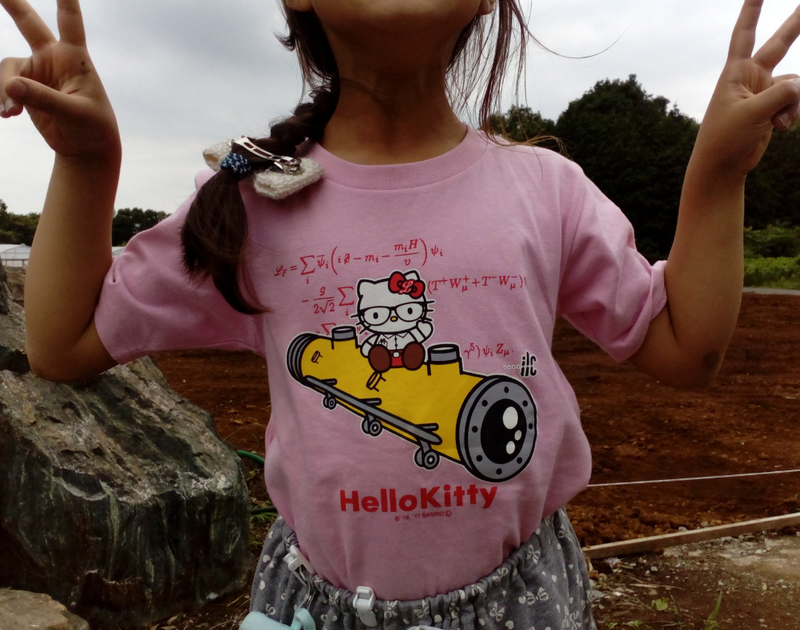 Children can be seen wearing the Science Kitty T-shirts around town. KEK has made all the standard model particles into characters but Higgs so far is the only one which you can find in costume. Higgs-kun can be witnessed at ILC events and has also been illustrated as downloadable line (a popular Japanese texting app) stickers. 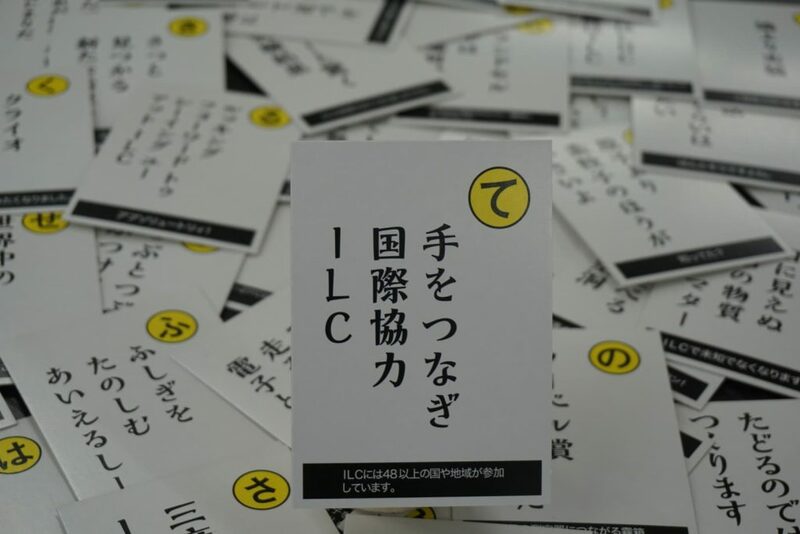 The ILC Supporters formed to voluntarily spread word of the ILC to the general Japanese community. 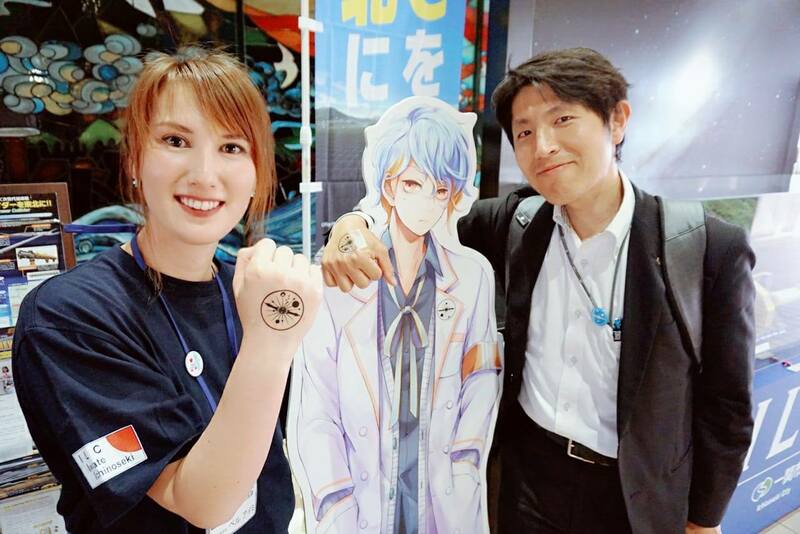 Prominent supporters such as founder and the director of Ghost in the Shell, Mamoru Oshi, game creator legend Yu Suzuki and fashion designer, Kimura Yu are among others in efforts to popularize the ILC. They have an ongoing tattoo sticker, social media campaign where you download the design and print onto sticker paper – take a picture with the sticker somewhere in the contents upload to social media with the hashtag #ILCSupporters. Twitter seems to be the most popular platform for this campaign. As the ILC project is approaching the time of deliberation for a positive answer from the Japanese government, communicating the ILC is as important as ever. We hope that the efforts made to get everyone involved in the community will channel out and get the rest of Japan excited. Telephone: +81 019-624-5880 (Main) | Fax: +81 019-654-1588 | Click here to email us!